Mr Cottoy was the co-owner with his wife Anita of Fort Recovery Hotel located at Towers on the western side of Tortola. The circumstances surrounding his death is unclear, however, one eyewitness told our news room that he may have pulled over on a Belmont road after not feeling well. However, by the time family and friends reached him he had reportedly passed. His lifeless body was discovered in his automobile. Even before an autopsy, many suspect a heart attack as the cause of death. As the tragic news circulated to many long-time friends, hotel staff and residents, they were all left in shock and disbelief. It was said also that he was a man of the sea, and enjoyed sailing, fishing and diving. 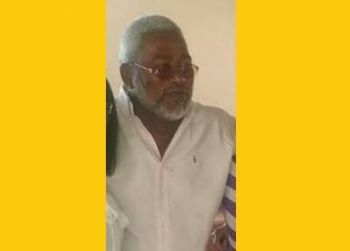 The Management and Staff of Virgin Islands News Online wish to convey our condolences to Mr Cottoy’s immediate family and other loved ones. My dear friend. Rest In Peace. Who may he have eaten from last and what was his last meal? This is a major lost to the high performance boating community, he was one of the Godfathers in this sport. RIP Sunny, keep ur hands on those throttles until we meet again. Major Loss not majority lost. I REMEMBER HIM BRINGING ONE OF THE FIRST TOYOTA SUPRAS TO THE ISLANDS. Thanks for all you taught me about boating and your inspirations.